We provide a total logistics service, from scheduling and managing collections, through to administration, booking and making deliveries. With our expert assistance and years of experience, we make sure that all challenges faced within the supply chain sector are dealt with quickly and efficiently. 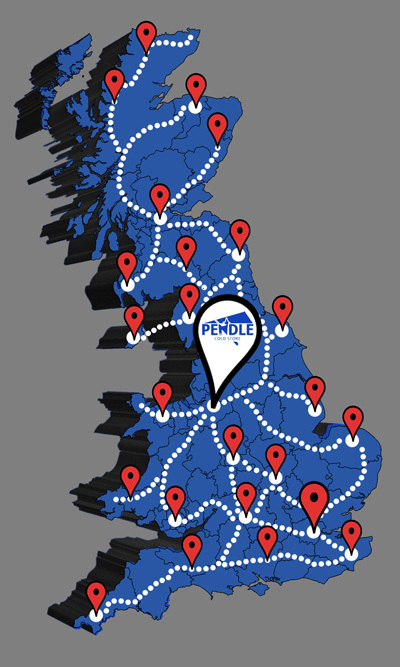 Pendle Cold Store is renowned for its first-class customer service, offering a bespoke package of storage and distribution to all clients, regardless of size. Our highly advanced storage and cold store depot is situated on Lomeshaye Industrial Estate at Junction 12, off the M65 motorway network. This perfect central Lancashire location allows our dedicated fleet of dual temperature vehicles to operate throughout the UK with ease, on a 24-hour basis to ensure an efficient delivery service. 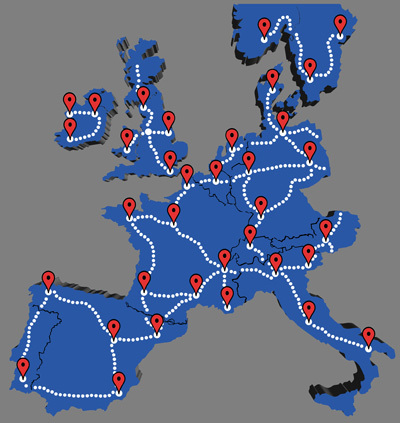 Via our reliable sub contract partners, we can make temperature controlled collections and deliveries seven days a week, across the whole of the UK and Europe. Our extensive contact list allows us to offer next day deliveries on many of our third-party distribution within the United Kingdom.